Evanston HURC is a homesteading initiative focused on fully rehabbing 6 vacant, severely blighted, single-family homes, creating homeownership opportunities for low- to moderate-income individuals and families. The homes will be available for sale in 2018, listed with MLS and marketed through a partnership with Catholic Charities Southwestern Ohio, which will provide information and support to eligible buyers. The Homesteading & Urban Redevelopment Corporation (“HURC”) is a 501(c)(3) Ohio nonprofit corporation focused on community housing improvement throughout the region and in particular the renovation of homes in low to moderate income areas. Since 2015, the Greater Cincinnati Redevelopment Authority has functioned as the HURC’s management agent, staffing it with GCRA employees and providing all administrative and executive services. Evanston HURC is being funded partially with HUD funding, administered through the City of Cincinnati’s NOFA funding procurement process. 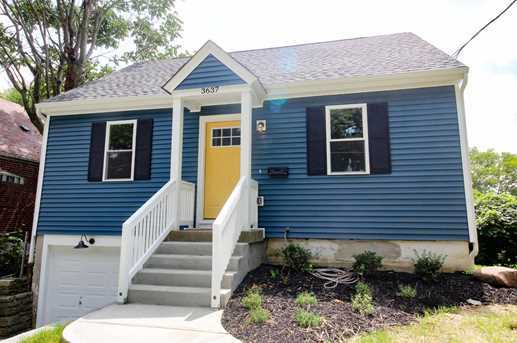 The goal of NOFA is producing housing products that help achieve PLAN Cincinnati’s goal of providing a full spectrum of quality housing options for individuals across income groups and in all stages of life. The HURC supports the belief that individuals of low to moderate economic levels in the same housing market should have available to them a like range of affordable homeownership options. In October 2017, HURC learned it will receive $300,000; part of the $6.4 million in NOFA-funded projects for Cincinnati neighborhoods. GCRA estimates the rehab work will begin in early 2018. All are presently owned by the Hamilton County Land Reutilization Corporation, which acquired the blighted properties to facilitate their rehabilitation and sale. Evanston neighborhood’s current population is 6,297, vs. 9,158 counted in the 2010 US Census. 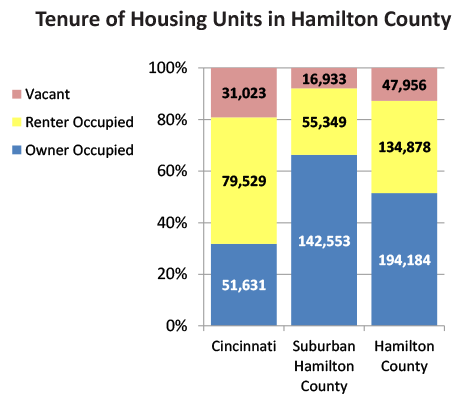 The neighborhood has 3,427 total housing units, of which 37% are owner-occupied; 38% are renter-occupied, and 25% are vacant. The majority of units in the neighborhood are single-family, many in large historic homes. Evanston is among the City of Cincinnati’s neighborhoods to receive a “CoreFour” designation that helps accelerative housing redevelopment. 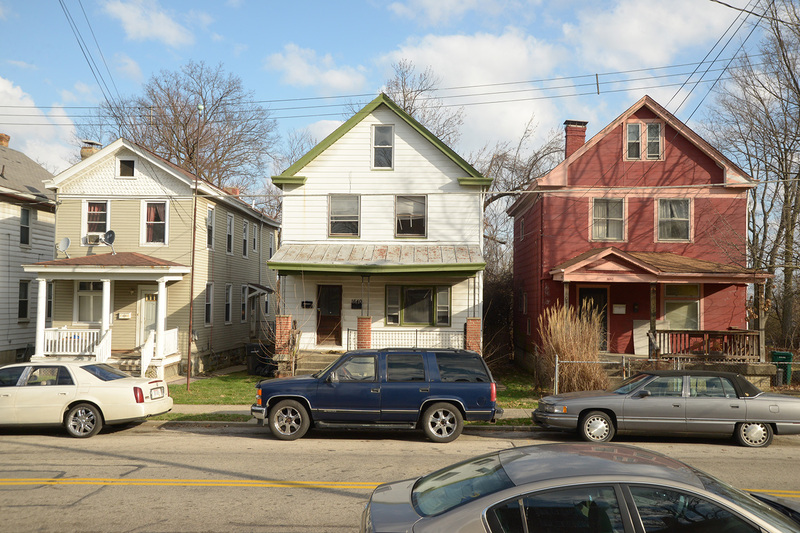 The Redevelopment Authority and Hamilton County Landbank have had a critical role in several of the City’s stated initiatives, including Moving Ohio Forward demolition grant program. The Landbank used $752,500 of MOF funding in Evanston, most significantly on the demolition of St. Leger apartment building to make way for St. Ambrose, which opened in 2014. The Redevelopment Authority chose Evanston as its first neighborhood for place-based market-rate home rehab and new construction. Under REACH Evanston, the Redevelopment Authority has rehabbed and sold 21 properties near Evanston’s historic intersection at Montgomery and Woodburn.